"The U.S. elections demonstrate that many are not satisfied with the current dynamics of global processes." Donald Trump’s victory in the U.S. presidential elections is the continuation of Britain’s vote to withdraw from the European Union (Brexit), Head of Russia's Center for Strategic Research (CSR) and ex-finance minister Alexei Kudrin wrote on his Twitter account on Nov. 9. "The U.S. elections demonstrate that many are not satisfied with the current dynamics of global processes," he said, adding that the elections means "the continuation of Brexit." 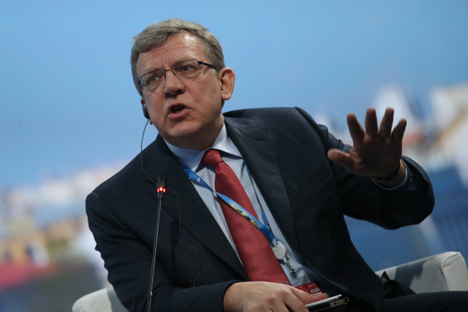 According to Kudrin, despite certain Trump’s statements on economic issues, he depends on the country’s existing system. "It will ‘moderate’ his controversial intentions," he wrote. On Election Day, Nov. 8, United States citizens cast their ballots and elected their 45th US President, Donald J. Trump. By securing more than the needed 270 electoral votes, Trump, the Republican candidate clinched his presidential victory. The election outcome was a spectacular culmination to a heated Presidential race between the Democratic nominee, Hillary Clinton and Republican candidate, Donald Trump.